The pipeline industry is facing increasing challenges due to increased demand, variability of throughput, additional infrastructure acceptance by local communities and transportation cost pressures in a commodity-price environment. However, operators can leverage modern technologies in order to increase transportation reliability and reduce life cycle cost, both of which have a direct impact on project viability and return on investment. TransCanada Corp. is one of the major pipeline transmission companies with assets in Canada, the United States and Mexico. In 2014, TransCanada Pipelines (TCPL) received approval to increase flow in a remote area of its NGTL System moving gas from North Western Alberta, Canada across North America. Their compression stations are normally unattended and subject to extremely cold environment, so the turbine’s running availability was vital for a successful flow increase. TCPL worked with Baker Hughes, a GE company (BHGE), to install the first operational NovaLT16 unit to increase the system capacity. The NovaLT16 was launched in 2014. 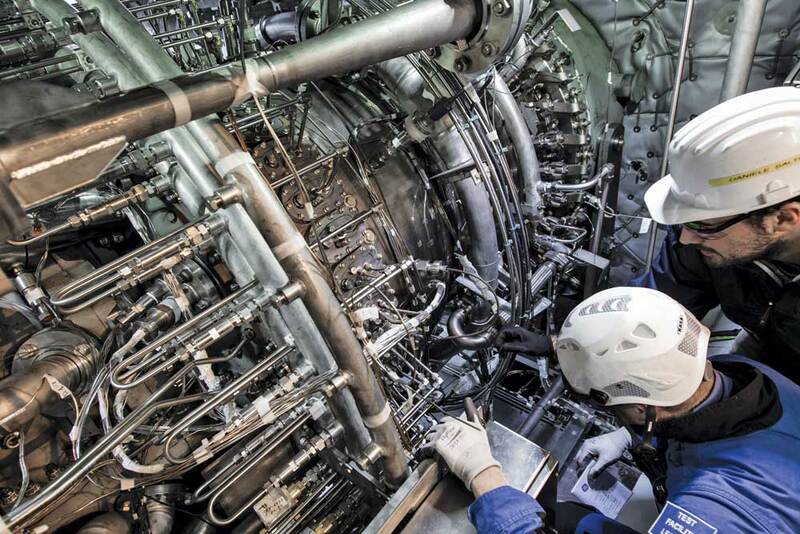 The gas turbine is rated at approximately 16.8 MW/22,500 hp. The proposed NovaLT16, a recently designed gas turbine that is rated at approximately 16.8 MW/22,500 hp. The development of the NovaLT16 moved from concept to serial-number-one production in just 30 months, which was a considerable feat given that standard industrial turbine development typically takes five to six years, and aeroderivative turbine development even longer. The NovaLT16 was officially launched at the 2014 Turbomachinery Symposium, and first orders were received in 2015. The two-shaft, gas turbine was designed for 37.3 percent mechanical efficiency in mechanical drive or power generation. With a power turbine speed of 7,800 rpm, coupled to the latest generation of pipeline compressors featuring high performance stages and more than 89 percent compressor efficiency it’s ideally suited for pipelines. A variable-geometry nozzle helps maintain high efficiency, (one of the highest in its class) and together with a DLN annular combustor, reduce emissions over a wide operating range. In other words, the machine is designed for high efficiency at full and partial load where the machine may as well operated. 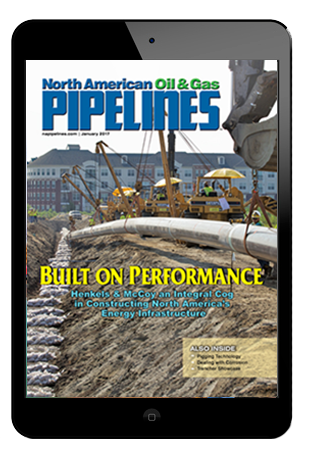 This feature is particularly fit for pipeline applications where seasonality and changes in pipeline loads are important design factors. Other key design advantages include up to 99+ percent availability, with 35,000 fired hours between maintenance — which translates into four years of nonstop running. Currently the NovaLT16 fleet includes a number of units in operation located in Canada, Italy and Russia for more than 14,780 combined total running hours. All units are performing well, achieving 99.9 percent reliability so far across the fleet. In the coming months two more engines are scheduled to enter commercial service in Asia, and the overall fleet is expected to cumulate more than 20,000 running hours by the end of 2018. The NovaLT16 was designed for mechanical drive applications. TCPL shared BHGE’s confidence in its capabilities as can be seen by the fact that they participated in the collaborative development project since 2014. In November 2017, BHGE collaborated with TransCanada to install a NovaLT16 gas turbine to power a pipeline compressor. In November 2017, working closely with TCPL, BHGE successfully installed, commissioned and started the NovaLT16 gas turbine driving a PCL pipeline compressor. In mechanical drive, the low-pressure shaft runs at variable speed (vs. fixed speed in power generation), with a huge torque capability over the full speed range — including 35,000 Nm (25,815 ft-lb) at low speed, which is the most severe condition for loaded start-up. 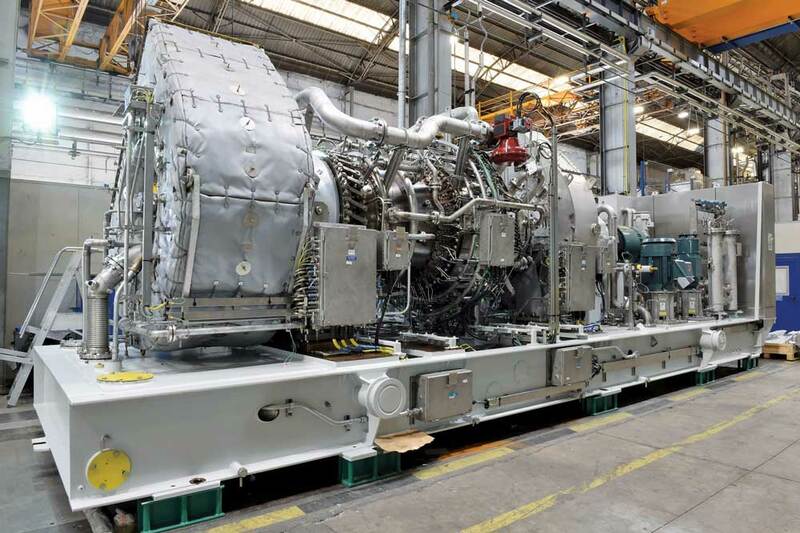 The unit was performance tested at full load in BHGE’s Italian facility before it was shipped to Canada, where it continued to exhibit good performance with emissions well below regulatory limits. On site, the turbine successfully completed a 72-hour, continuous-run test in ambient temperatures down to -16 C, which are quite common in that part of Canada. In these conditions, the turbine delivered 18.5 MW/24,800 hp shaft power. Given the transportation demand on the pipeline, the unit operated at full load quickly after start-up. Although the conditions were quite demanding, NovaLT16 performed perfectly with no trips or limitations in accepting the load demands. During commissioning, the unit was remotely operated from TCPL’s Gas Control in Calgary. 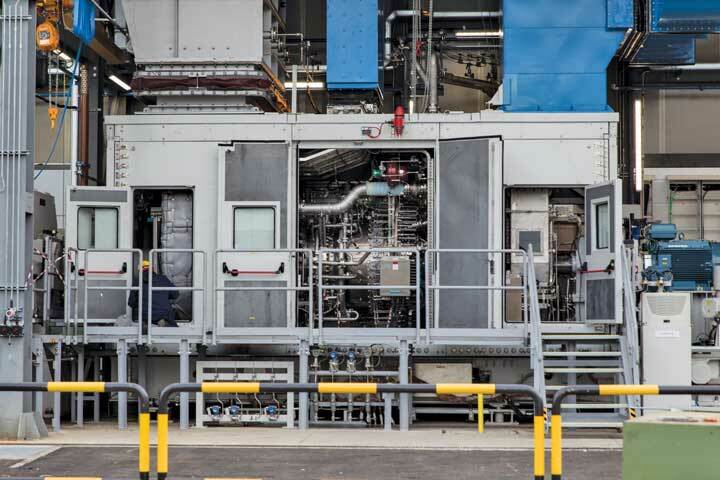 It was then connected to BHGE’s remote monitoring and diagnostics center for 24/7 coverage as it began its normal, un-manned operation. Effective transient response during load variation. NOx emissions have met or exceeded guarantee levels throughout different load and ambient conditions. Vibration amplitude is well below acceptable limits. Bearing performance is stable in all operating conditions. Throughout winter, ambient temperatures dropped as low as -40 C, but had no impact on NovaLT16’s performance. In the summer, the highest recorded temperature was 33 C. The NovaLT16 operated as expected over this broad temperature range of temperature in its first year, which is a remarkable demonstration of its robustness. This NovaLT16’s reliability has been of significant value to TCPL’s business — avoiding transportation interruptions and the associated economic penalties. This mechanical drive success story, is part of a broader BHGE strategy to introduce similar units as part of the NovaLT family. The LT family also includes 5.6 MW/7500 hp and 12.6 MW/17,000 hp units. The NovaLT5 takes the compact packaging principles and other design features from the NovaLT16 development and applies them to the well-proven GE5 gas turbine — evolving it into the NovaLT5. With single-shaft (NovaLT5-1) and double-shaft (NovaLT5-2) configurations, it was a welcome new alternative for a wide range of small power-generation and mechanical-drive applications. Both of the configurations are compactly designed, making them ideal for operations with challenging footprint and height restrictions. The NovaLT5-1 consists of a high-pressure axial compressor, combustion section, and a two-stage air-cooled turbine. It can be fueled with natural gas and/or liquid fuel and has premix burners to control emissions. The high exhaust temperature makes it well-suited to heat-recovery operations. The NovaLT5-2 consists of the same high-pressure module as NovaLT5-1 (axial compressor, combustion section, and single-stage air-cooled turbine), and a low-pressure module (two-stage uncooled turbine with exhaust section). NovaLT5-1 has an electrical efficiency of 30.7 percent. NovaLT5-2 has a shaft efficiency of 31.5 percent. They both have 24,000-hour mean time between maintenance intervals. The standard model delivers 12.6 MW, while there are design options for power requirements from 10.5 MW to 13.9 MW. It delivers 36.5 percent efficiency at full load, and 32 percent at 70 percent load — which is unparalleled compared with market peers. The design draws on key features from BHGE’s widely referenced heavy-duty gas turbines, as well as NovaLT16 and NovaLT5 packages. In particular, the standardization and modularization factors significantly reduce customized engineering activities, leading to a shorter delivery cycle, and less time to customers’ commercial operating date. Bob Perez is president of the Pipeline & Gas Processing division at Baker Hughes, a GE company (BHGE).